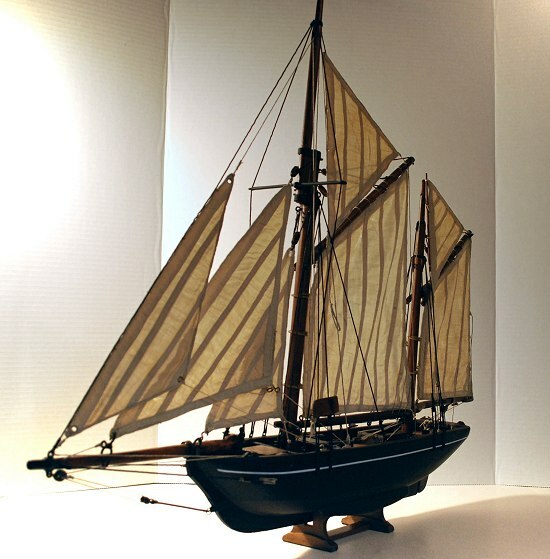 English Smack - Model Ship Repair and Restoration. 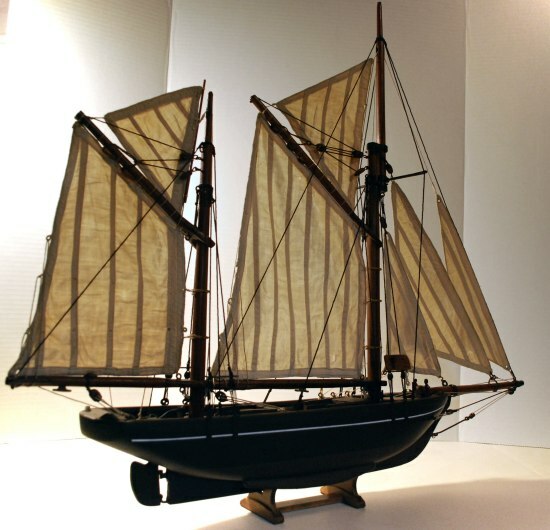 Built by her former Captain, Thomas Forsyth Wickes, this model of the 33 ton English fishing-smack Sir Frederick William was restored to her former glory. Her sails are fabulous and possibly her best feature. She came in pieces, most of the rigging had been either broken or gone missing. Layers of dirt everywhere and many parts had come loose. She was completely dissassembled and cleaned. Any broken parts were repaired or replaced, and she was rebuilt from the ground up. Model after having been fully restored. A stand for the model to rest on was also created. 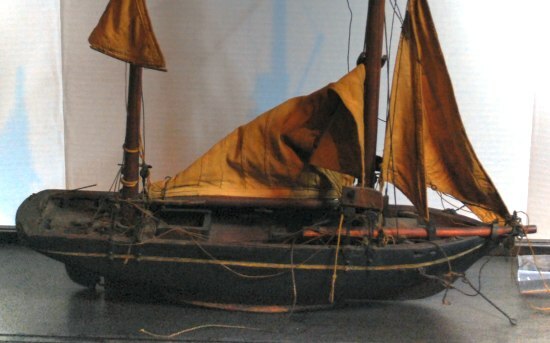 Her sails had accumulated over a hundred years of smoke and dirt. The layers of dirt were removed, and the sails were returned close to their original and natural colour.